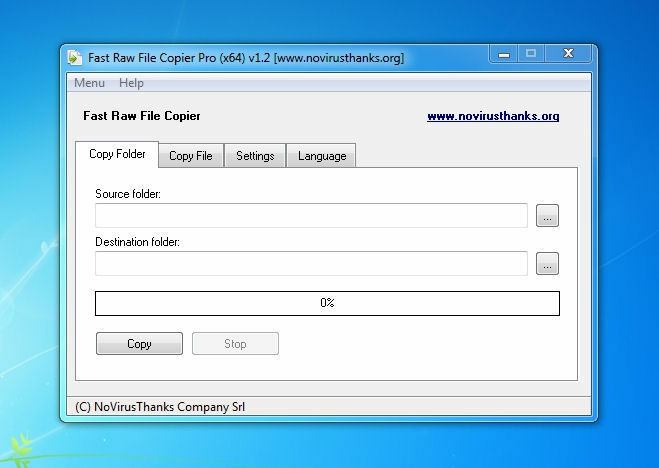 NoVirusThanks Fast Raw File Copier Pro is a tool that can quickly copy a lot of files in Windows, including files typically off limits. For example, you can use this tool to copy the SAM file in Windows that contains user password hashes. Typically you cannot do that in Windows Explorer. It copies a file by its respective data clusters directly from the underlying disk object all without the need for a kernel mode driver, hence the name Fast "Raw" File Copier Pro. NOTE: This is a portable version that can be extracted and run without requiring an installation.